The success of Constitution UK has led to an examination of how communities can crowdsource ideas and engage in debates around critical issues. The London School of Economics and Political Science was not quick to join the MOOC movement. Its faculty and administrators were concerned about the high attrition rates commonly found in massive open online courses. "We observed a persistence about the pedagogies being deployed that didn't do a lot to arrest those problems," said Darren Moon, a senior learning technologist at LSE. But in 2014, Moon and his colleagues found an opportunity to build a large online community that would avoid that very high attrition rate. 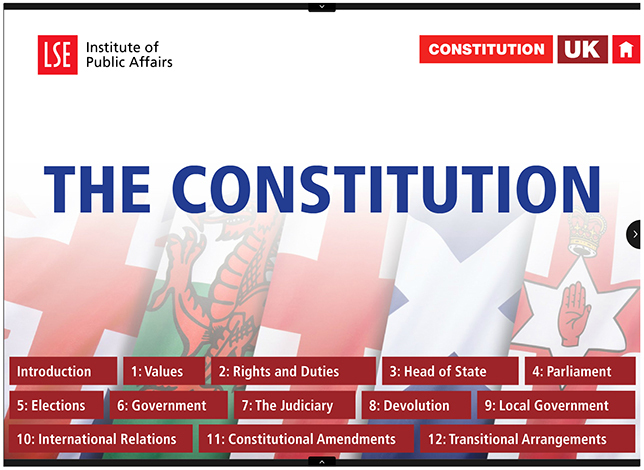 Together with the school's Institute of Public Affairs, they developed Constitution UK, an effort to crowdsource a model written constitution for the United Kingdom. Participation and engagement in the project actually increased as it progressed, which may provide some lessons for other large, open education offerings. Constitution UK empowered participants to propose their own ideas for the constitution, and then engage in a debate and selection of those ideas. The whole setup — from ideation to platform development to go-live — happened in just eight weeks. And in the 14 weeks the project was active, a community of more than 1,500 participants emerged, generating thousands of online interactions, over a million words of contributions and a final constitution of 8,000 words. One of the first decisions the project team had to make was what type of software to use. A traditional learning management system was not going to suffice. LSE executives did a market scan and looked at software implementations of "liquid democracy," a new form of collective decision-making that gives voters full decisional control. "In the end we were more drawn to ideation platforms that are used in the corporate space to help organizations move forward by getting ideas from everyone in an organization," said Chris Fryer, an LSE systems administrator. The team chose a tool called Crowdicity, which he described as a cross between a social network and a voting platform. Both LSE and the Crowdicity developers worked to understand how the platform's features could fit this particular activity. "We were both feeling our way," Fryer said. "They hadn't had their software bent to this purpose before, and we had never done anything exactly like this." In addition, the team used Facebook, Twitter and Storify to promote the project, communicate with users and encourage participation. The goal for Constitution UK was to create an informal learning experience that would be highly flexible, with no fixed points of entry — a form of "discontinuous engagement" wherein participants were free to choose when and how to interact with the project. Moon noted that because the intention was not to create a constitutional law 101 course, LSE had the freedom and flexibility to dispense with the nomenclature of lectures, seminars, assignments and quizzes, focusing instead on notions of participatory democracy and digital citizenship. "We needed to find the right technological solution and the right pedagogical approach that would support community members in becoming better learners, better participants and more productive members of the community," Moon said, "and it was great to be able to come up with something that looked very different from a traditional course in order to help achieve that project's aim." They also added elements of gamification to the project, with leader boards recognizing individuals for contributions. "We were a bit cynical about gamification initially," admitted Peter Bryant, head of learning technology and innovation. At one point during the process they changed the game rules and wondered if that would upset users. "It didn't," he said, "because in reality it wasn't the game that was important. It was the fact that people were being recognized for the volume and quality of each interaction with the community." Bryant said another goal was to attract people who might not be predisposed to take a MOOC course. "What we were trying to do as much as possible was deliver a project that was opportunity-rich but demand-light," he said. "We didn't want people to feel burdened by assignments and readings to do. We just wanted them to have an environment that was comfortable and where their opinions, thoughts, and contributions were highly valued, and by making that the priority, we actually created a good space for learning to occur." The project team was encouraged that Constitution UK participation numbers progressively increased over the time the platform was open, including a huge increase in the last two weeks. (More than 30 percent of participants joined the project in that period.) In surveys, approximately 80 percent of participants stated that they had "gained new knowledge" and 70 percent stated that they "gained new skills" through participating. In addition, 88 percent of participants were influenced by community discussions and 50 percent of participants stated that working with others directly contributed to their learning experience. At LSE the success of Constitution UK has led to an examination of how communities can crowdsource ideas and engage in debates around critical issues. A number of other projects are expected to draw on the power of crowdsourcing to solve problems, address key issues and engage in digital citizenship. "We are working on a roadmap of where we want to go in terms of the next few projects," Bryant said. "There are many things being discussed about how we fund it and represent it as the outward-facing public engagement aspect of the school's educational offerings."